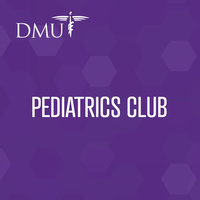 Pediatrics Club is an organization that provides you many opportunities to work with fellow students and children! Pediatrics Club volunteers regularly at GiGi's PlayHouse, where we volunteer with Down Syndrome children and their families. Other events include babysitting for the Significant Other Support Group and Visiting Nurse Services, to name a few. This is a great club if you want to put in quality time with kids. We also bring in great speakers who work in pediatrics to talk about their experiences and give advice regarding vaccinations, children with disabilities, autism, etc! If you're tracking for the Distinguished Pediatric Award click here. Please fill out our end-of-year survey here.